LOS ALAMITOS, Calif., 2 April 2019 – Jitendra Malik, Arthur J. Chick Professor in the Department of Electrical Engineering and Computer Science (EECS) at the University of California at Berkeley, has been named to receive the IEEE Computer Society’s 2019 Computer Pioneer Award. Malik received his PhD in computer science from Stanford University in 1985, after which he joined UC Berkeley as a faculty member. He served as chair of the Computer Science Division during 2002-2006, and the department of EECS during 2004-2006 as well as 2016-2017. Since January 2018, he is also research director and site lead of Facebook AI Research in Menlo Park. Malik’s group has worked on computer vision, computational modeling of biological vision, computer graphics and machine learning. Several well-known concepts and algorithms arose in this work, such as anisotropic diffusion, normalized cuts, high dynamic range imaging and R-CNN. He has mentored more than 60 PhD students and postdoctoral fellows. 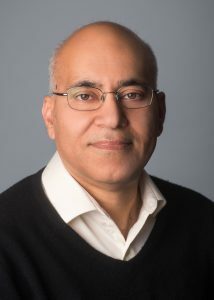 Malik’s publications have received numerous best paper awards, including five test of time awards – the Longuet-Higgins Prize for papers published at CVPR (twice) and the Helmholtz Prize for papers published at ICCV (three times). Malik received the 2013 IEEE PAMI-TC Distinguished Researcher in Computer Vision Award, the 2014 K.S. Fu Prize from the International Association of Pattern Recognition, the 2016 ACM-AAAI Allen Newell Award, and the 2018 IJCAI Award for Research Excellence in AI. He is a Fellow of the IEEE, ACM, and the American Academy of Arts and Sciences, and a member of the National Academy of Sciences, and the National Academy of Engineering. Malik will receive his award at the awards dinner held on Wednesday evening, 5 June 2019 at the Hyatt Regency Coral Gables, Florida during the IEEE Computer Society Board of Governors meeting. The award consists of a silver medal and an invitation to speak at the award presentation. Recent recipients of the award include Bjarne Stroustrup, Michael Flynn, Jean Sammet, Lynn Conway, Cleve Moler, Edward Feigenbaum, and Linus Torvalds. Read more about the Computer Pioneer Award, including a list of all past recipients. IEEE Computer Society, the computing industry’s unmatched source for technology information and career development, offers a comprehensive array of industry-recognized products, services, and professional opportunities. Known as the community for technology leaders, IEEE Computer Society’s vast resources include membership, publications, a renowned digital library, training programs, conferences, and top-trending technology events. Visit www.computer.org for more information on all products and services.